If you know somebody who suffers from plantar fasciitis, it’s definitely a big part of their life. It may not be the first thing you think about when you’re thinking of them, but it’s certainly an important detail to them, personally. Choosing a gift that can help them feel a little bit of relief can be very significant, since it shows them that you’re empathetic to their struggles. It shows that you paid attention when they told you about it, and it shows that you care. When somebody is dealing with something difficult or painful in their life, knowing that a loved one is looking out for them can make such a huge impact. We’ve put together some gift ideas for foot care products for people with plantar fasciitis. 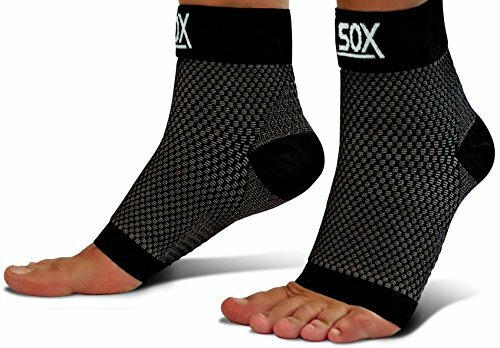 We wanted to choose things that are a bit more unique, that they may not have tried before, and not just have a big list of compression socks. We also wanted to find some things they may not have already purchased for themselves. Whether or not it gives them a ton of relief, or just offers some minor comfort, the act of giving such a thoughtful and sympathetic gift is going to speak volumes about your relationship with this person, and they’ll appreciate it so much. 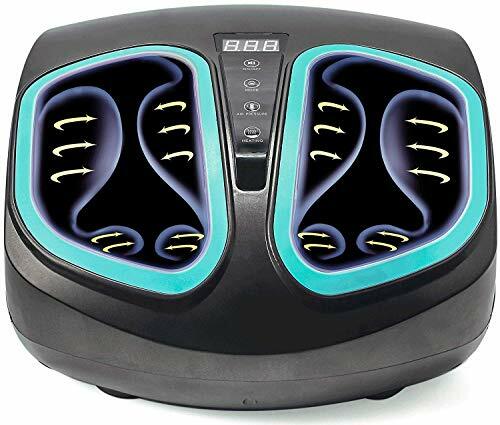 There are numerous different foot massager machines you can check out, and we’ll be featuring a more expensive one on this list. This one takes the top spot, however, because it’s affordable, well-made, and does a great job. This is the type of gift that anyone can enjoy, even if they don’t have plantar fasciitis. It feels a little more like Christmas than a pair of compression socks. 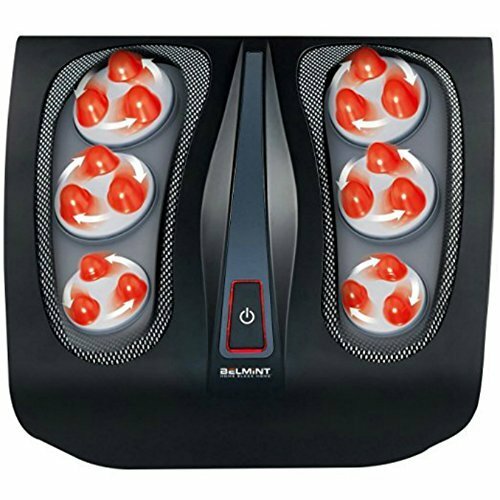 This foot massager heats up, providing an extra layer of relaxation and relief for your loved one’s achy feet. It’s the type of gift that anyone would love to own, but most people wont think of buying for themselves. That’s the perfect kind of Christmas gift. Nothing says Christmas morning like unwrapping a pair of slippers. 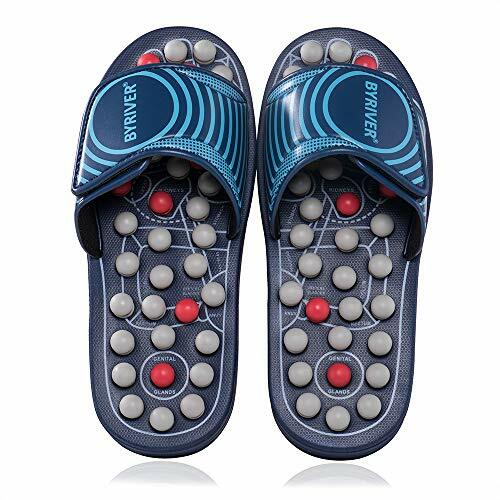 These slippers have small little spring-loaded buttons embedded in them to help sore and tired feet feel better, and to help get the blood flowing better. The manufacturer recommends wearing them with socks for the first week to give your feet some time to adjust, and these aren’t suitable for people with extremely sensitive foot pain. Keep in mind that reflexology is going to hurt a bit at first, think of these as a very strong massage. You get used to it before too long. These aren’t the typical cushioned, soft and fluffy slippers you might be used to unwrapping under the tree, but they can be very beneficial for people suffering from mild to medium foot pain. If these aren’t on your gift list, also look out for slippers with arch support, which are a great gift for friends with foot pain. This massage roller is particularly good for plantar fasciitis because it’s softer than the wooden ones, and gives you a little more control. The downside is that it only works for one foot at a time, unlike the multi-roller that we’ll be taking a look at in just a few moments. This makes a great stocking stuffer, it’s fun and bright colored, affordable, and helps a lot of people who have tried it. What else could you really hope for? 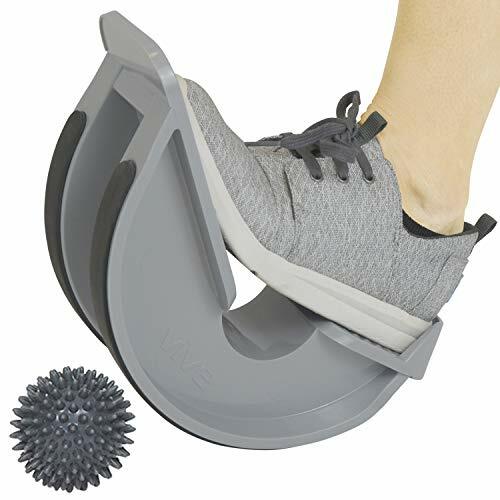 You can also check out my list of picks for the best foot roller for plantar fasciitis – this one is on there too! It was inevitable that we’d include at least one compression sock on this list, it’s not the warmest of gifts, but it can make a big difference. These are unique, they’re sleeves with open toes, and they’re great for athletics. They have a cool look to them, they’re very well made, very effective for people with Plantar Fasciitis to find some relief, and they make an excellent stocking stuffer. Sometimes, compression socks can feel like a real chore to put on, so these offer a good alternative. Here’s another useful tool for relief that works great to help with your stretches. It ensures you’re positioning your feet in the ideal way to stretch them out safely and effectively. Whoever is lucky enough to receive this gift can keep it next to their bed to deal with the early-morning pains, and to get back on their feet quickly. This is another unique product that somebody may not think of buying for themselves, but that can also be a very helpful thing to own. If you want to read more about how these products work, check out my ProStretch Rocker review which is very similar to this one and perfect for gifting. Here’s another take on a foot massager. This one is manual, rather than electric. It’s not as dynamic of a sensation, but it can still give you that pressure and relief. 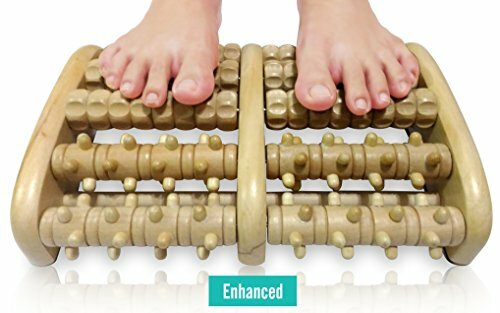 This foot massage roller has 10 rollers on it with a couple of different patterns. There are some that just have two wooden rollers, and this one offers a better experience than those. This product is made from wood, so while it is something health-related, it doesn’t have that sterile or clinical feeling, it still has the warmth of a nice gift. Here’s the nicest gift on the list, it’s a higher-end foot massage machine that feels absolutely incredible. It has air compression, infrared heating, and three different modes. Another nice feature is that it has removable, washable foot pads. The heat and air compression are very soothing, especially for plantar fasciitis. Some people like to keep it plugged in next to their bed and put their feet in it first thing in the morning, others keep it at their desk. This is a nice little stocking stuffer for your partner, tell them it’s for foot rubs! 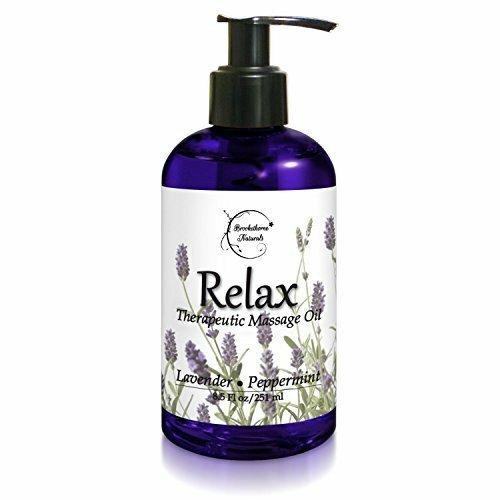 This all-natural massage oil is made with a mixture of Lavender, Marjoram, and Peppermint. A lot of these gifts are complementary, and all of them will be super practical for the person who is lucky enough to have you shopping for them. Choose the one that fits your budget, and the personality of the person you’re buying it for.